Amity Vineyards was founded in 1974 by winemaker Myron Redford, who moved to Oregon’s Amity Hills with a dream of making world class Pinot Noir. The wine bug caught him by surprise while traveling Europe and resolutely flipped the script on his plans to settle down in his home town. At this point in Oregon’s winemaking history, it wasn’t known as the tried and true Pinot heartland it is today. Redford was a pioneer, not to mention the first to produce organically-grown sulfite-free wine in the Willamette Valley. He started with a small estate: his first vineyards were planted in 1971, with a total of 15 acres planted to Pinot Noir, Riesling, and Pinot Blanc. Redford was an advocate for letting the land speak for itself: these are wines made with minimal intervention, with bright fruit free from new oak or heavy extraction. Like many regions known for yielding top-tier Pinot, Oregon is a unique place to make wine. 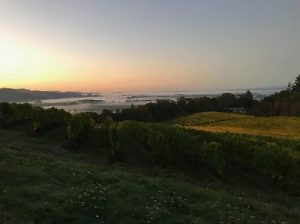 It’s a region on the cusp, climate-wise, so weather and time are deeply intertwined with viticulture and winemaking. 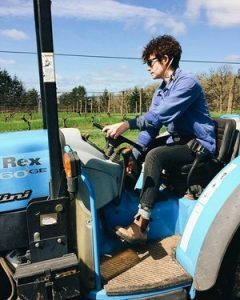 Amity’s approach continues to be thoughtful and responsive, yielding rich, expressive, terroir-driven wines, some of the best Oregon has to offer.